People only know Bali as the most important tourist attraction in Indonesia. But in the main island of Sumatra, some 4 hours away from the city of Medan, lies an ancient super volcano that is now a lake and a magnet for adventure-seekers and nature-lovers. The 12,000 square-kilometer area of Danau Toba is one of Southeast Asia’s most diverse and is very unique to the Indonesian archipelago. Heading there is easy, but making your journey more memorable can be quite a challenge. But that’s why we’re here. Touching down at the Kualanamu International Airport in Medan from Jakarta, you’d be greeted by the warm hospitality of Bataks and Javans who have made Sumatra their home. Spending a day or two in Medan is well worth charging you up for the trip up north. Sample the many treats sold by street vendors at night or head over to one of Medan’s more popular night clubs. 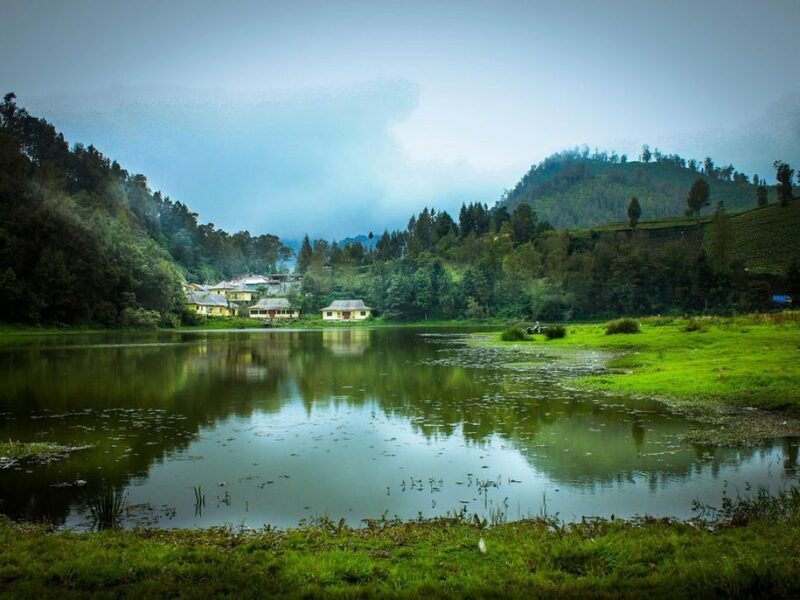 Located some 70 kilometers from the city of Medan is the hilly town of Berastagi, pronounced without the ‘e’. This mountain town is not a tourist destination so you get to really see locals doing their everyday stuff. Sleeping over in Berastagi is a must so you can catch the early morning sunrise creating a fantastic halo on the towering Mt. Sinabung. This should help you gear up for a day in Berastagi. You can climb Mt. SInabung if you get a thrill from really steep climbs. Head to the Tahura National Park and be greeted by waterfalls, hornbills, horses, elephants, and even gibbons. Enjoy a therapeutic bath at the numerous hot springs at the foot of Mt. Sibayak. Make sure to sample the famed ‘sotos’, ‘ikan bakar’, and ‘ayam penyet’ just before you head over to Danau Toba. Depending on which side of Danau Toba you want to explore – there’s Pangururan on the lake’s western shores and Perapat and Tiga Ras on its eastern shores – you’ll be treated with a slightly different kind of adventure getting to the most famous spot on Danau Toba – Samosir Island. This island is smacked right in the middle of Lake Toba. From Pangururan, you’d be traveling on a car traversing a bridge and you’d be treated to the most spectacular bridge ride in your life. If you’re taking Perapat or Tiga Ras, it’s a ferry ride for you. It’s definitely slower, but more romantic and idyllic if you’re coming in with your spouse. Enjoying Danau Toba is all about finding meaning in its pristine yet bountiful waters. You can go kayaking or even exploring the quaint town of Tuktuk Siadong where you get to mingle with the locals, down a drink or two at the local bars, or just be mesmerized by the beauty of the lake. North of the lake is Air Terjun Sipiso-piso. Hop onto a rented motorbike or get an ojek to drive you around is much better and cheaper than getting a tourist guide. You might even be treated to a local beverage. Toba may already be extinct. But the lake it left behind is surely a gem worth visiting. Even if you just decided to bring your pooch with you on holiday to Cornwall because there is no dog-sitter available, it doesn’t mean it will just stay at the hotel room or at your cottage pining for you all the time. Cornwall happens to be among the best destinations for those with pooches because they also offer your four-legged companions a lot of fun as well. There is no way to miss Rick Stein’s hotels and eateries while in Padstow and thankfully, Stein is such a huge dog lover. This means, most of his places have outdoor tables to let you eat with your pup. You just need to ask for the rules of the specific establishment beforehand. Once you are full, you can enjoy the scenery with a walk, first around the harbor and if you are up to it, along the coastal path. 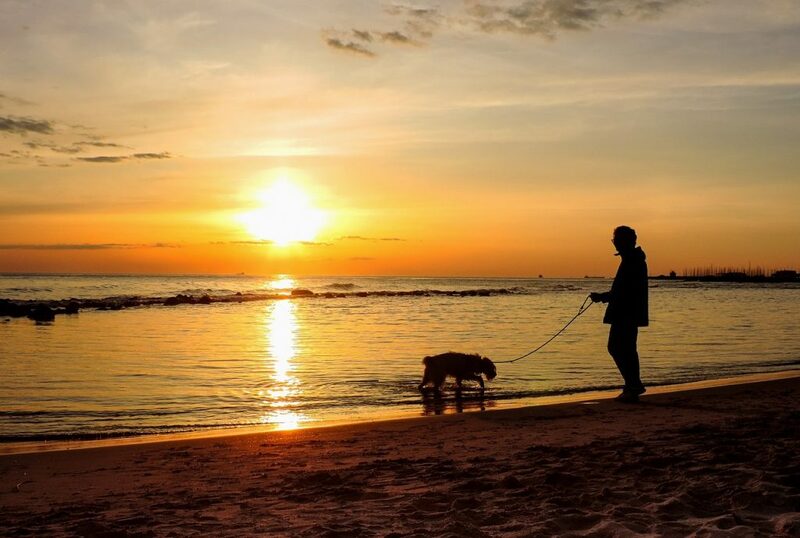 Your pooch might not enjoy the view as much as you do, but it will definitely love the fresh air and exercise in the dog-friendly Harbour and Hawkers Coves. If your dog is up to it, you can go for a nice boat ride from Padstow to Rock aboard the Black Tor ferry. You can rent a bike and a dog trailer and go for a ride along the Camel Trail, enjoying the views of the Camel River on one side and the scenic rolling hills on the other. 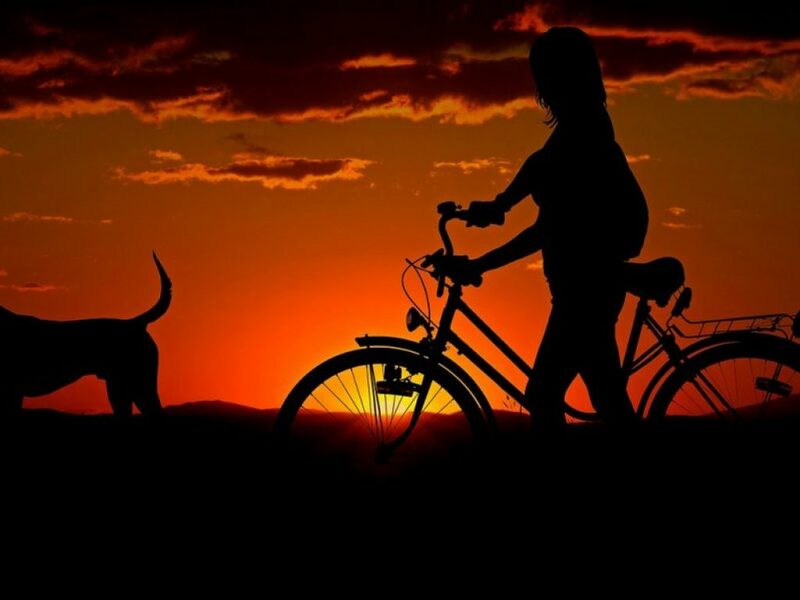 Your pup can sit back and relax, enjoying the breeze while you also happily pedal along. During your tide, you can drop by Tintagel, which is said to have inspired the myth of King Arthur. You can also explore the Trevaunance Cove and the Trevellas Porth. Just make sure you bring a leash while on these coastal paths to avoid any accidents. The best thing about Cornwall is that you can easily find hotels where your four-legged friend is also welcome. For example, The Scarlet allows dogs in the rooms and the lounges, so that you can have your pup with you at all times. More than that, the Mawgan Porth beach, which is a short walk away, is very dog-friendly and your pooch can happily splash in the water. For those traveling with kids, Bedruthan Hotel and Spa right beside The Scarlet will allow little ones and canine guests. There are literally thousands of canine friendly hotels, B&bs, cottages and campsites in Cornwall where you can base yourself and your four-legged friend for an adventure. The Dog Friendly Retreats website has a been in the news recently as the central resource for pet-friendly, self-catering holiday homes in Cornwall. If you and your best friend are eager for some grub, then opt for the restaurants that allow four-legged companions, though of course, they are not top fine dining places. The Lusty Glaze tops the list of dog-friendly places to eat close to the center of Newquay. Not only do they allow guests to bring their pooches with them, but they also have a very special menu just for them, available on Wednesdays between 12 and 9 pm. Moreover, the proceeds are donated to the St. Francis’ home for dogs. Holidays can be spent with your whole family, whether they are two-legged or four and if you are looking for a destination which is open and also exciting for everyone, then you should head over to Cornwall. 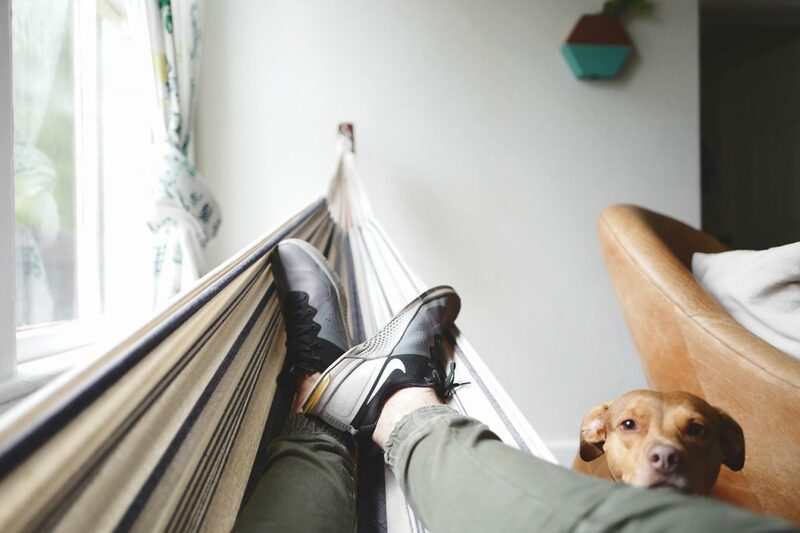 Thanks to hotels that accept dogs, you would not have to trouble finding your own cottage or worrying about where to keep your pup.